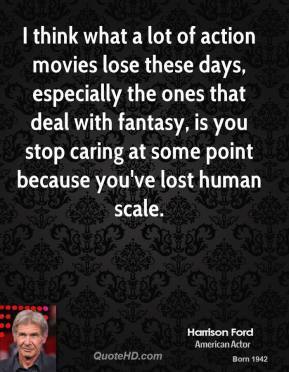 I think what a lot of action movies lose these days, especially the ones that deal with fantasy, is you stop caring at some point because you've lost human scale. 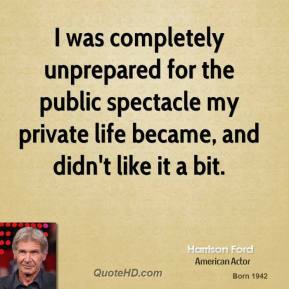 I was completely unprepared for the public spectacle my private life became, and didn't like it a bit. 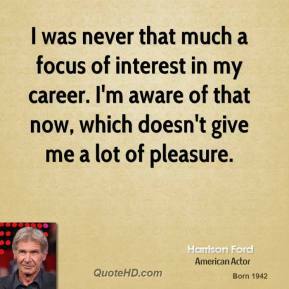 I was never that much a focus of interest in my career. 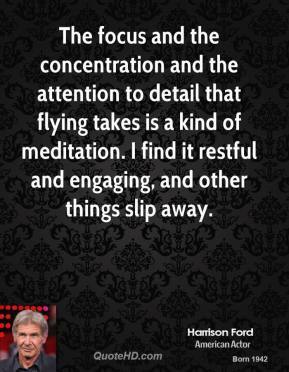 I'm aware of that now, which doesn't give me a lot of pleasure. 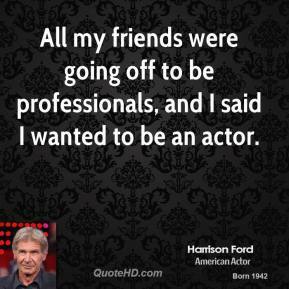 All my friends were going off to be professionals, and I said I wanted to be an actor. The trick of this thing and the beauty of this thing is that it's a cowboy movie first and then stuff happens. 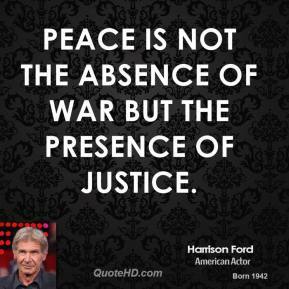 Even after stuff happens it doesn't change - it hasn't suddenly changed into another kind of movie. 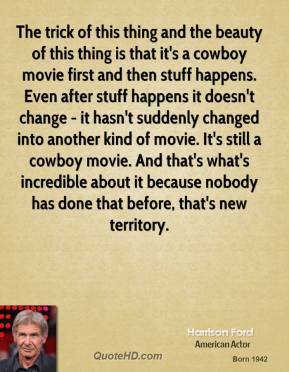 It's still a cowboy movie. And that's what's incredible about it because nobody has done that before, that's new territory. 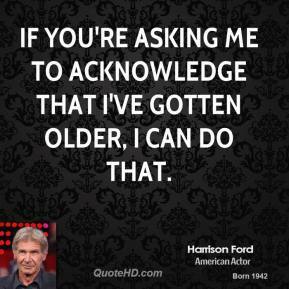 If you're asking me to acknowledge that I've gotten older, I can do that. 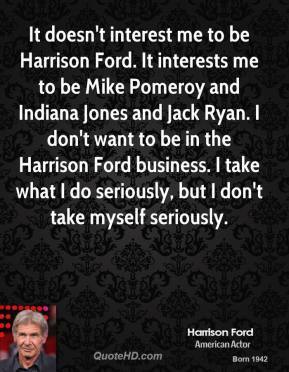 It doesn't interest me to be Harrison Ford. 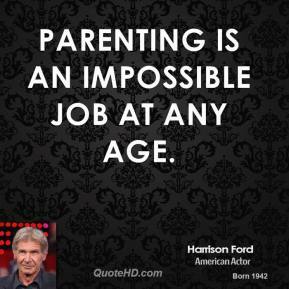 It interests me to be Mike Pomeroy and Indiana Jones and Jack Ryan. 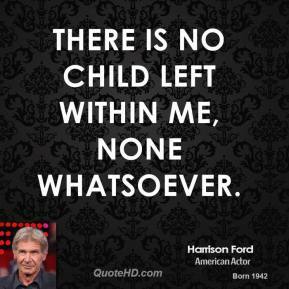 I don't want to be in the Harrison Ford business. I take what I do seriously, but I don't take myself seriously. 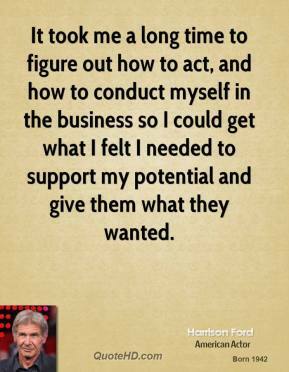 It took me a long time to figure out how to act, and how to conduct myself in the business so I could get what I felt I needed to support my potential and give them what they wanted. My character is meant to know nothing about rap, and not to like it very much, but I know about it, because my kids make me listen to it. There's some rap I do like very much. 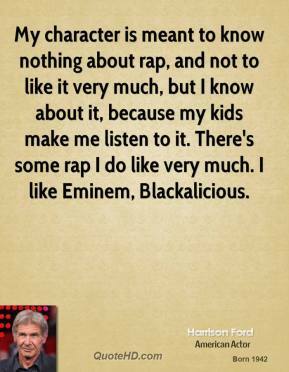 I like Eminem, Blackalicious. 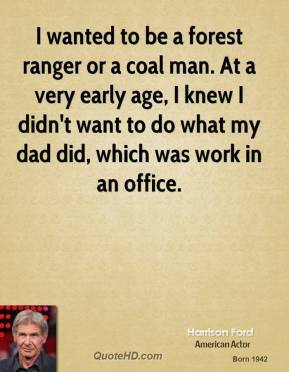 My goal was just to work regularly. I didn't ever expect to be rich or famous. 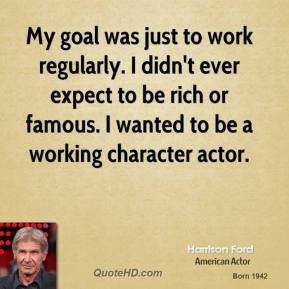 I wanted to be a working character actor. 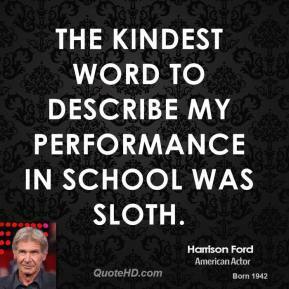 My older kids are fantastic people. 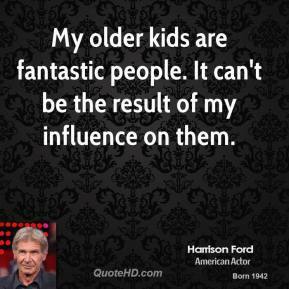 It can't be the result of my influence on them. Really, what are the options? Levi's or Wranglers. 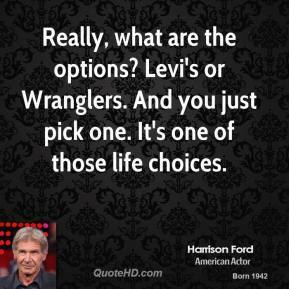 And you just pick one. It's one of those life choices. 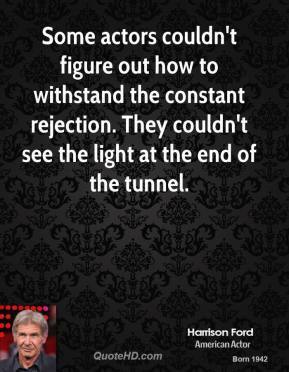 Some actors couldn't figure out how to withstand the constant rejection. 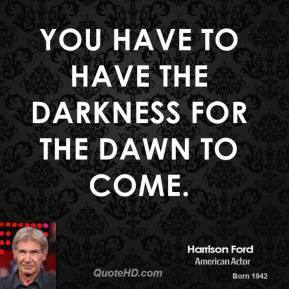 They couldn't see the light at the end of the tunnel. 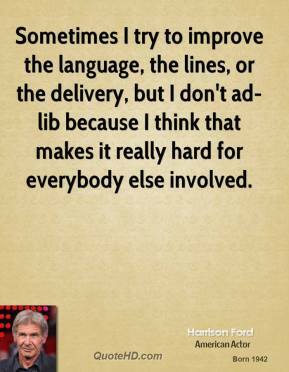 Sometimes I try to improve the language, the lines, or the delivery, but I don't ad-lib because I think that makes it really hard for everybody else involved. 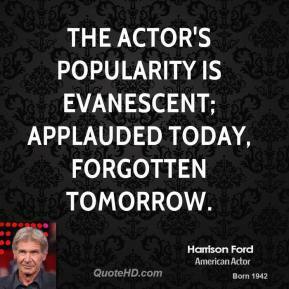 The actor's popularity is evanescent; applauded today, forgotten tomorrow. 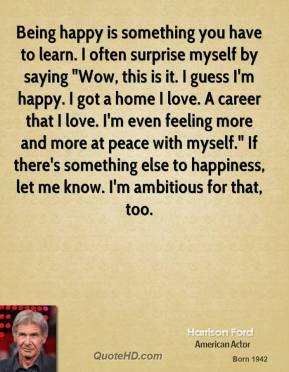 Being happy is something you have to learn. I often surprise myself by saying "Wow, this is it. I guess I'm happy. I got a home I love. A career that I love. I'm even feeling more and more at peace with myself." If there's something else to happiness, let me know. 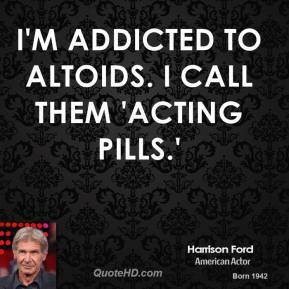 I'm ambitious for that, too.